RED's award winning Rocker Stiffening System, or RSS, is unique to Red Paddle Co. 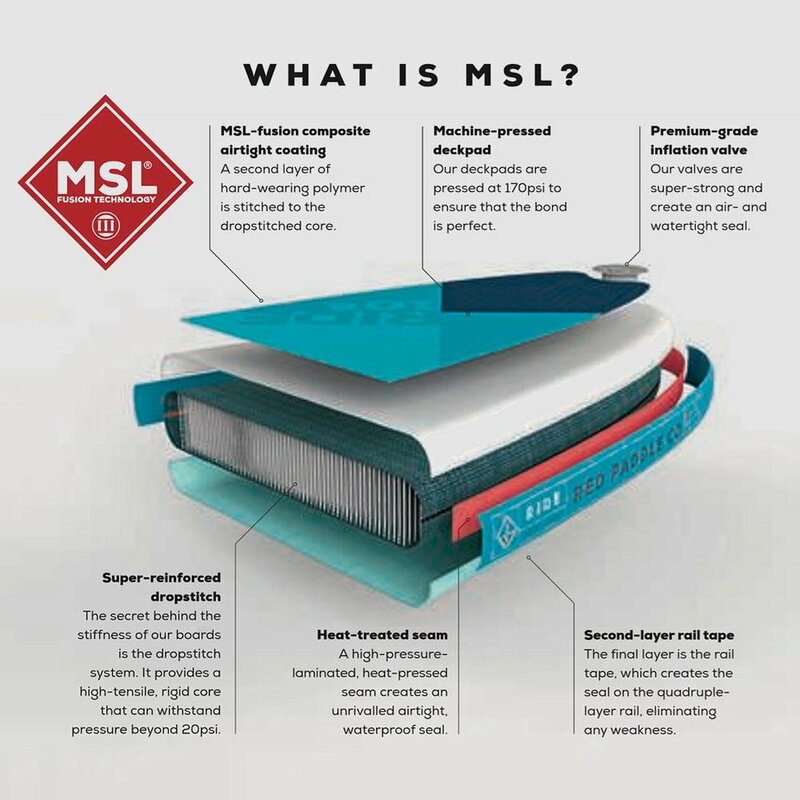 Designed and patented to make some of its bigger, expert boards up to 40% stiffer to deliver greater performance. It works by slotting two stiffening battens into pockets that are individually laminated onto the side of the board. We prefer spending our time paddling rather than pumping. With RED's Titan Pump Dual Cylinder system, combined with the Hi Flo handle, you are in complete control of the time and energy required to inflate your board. It puts the volume into your board faster and reduces the effort required to reach a higher pressure. RED bags were the first to include integrated wheels that make travelling through airports a pleasure. The hidden back pack system can be stowed when not in use and is super comfy when you need to put the board on your back. The front-loading design makes packing and unpacking super simple; and the internal straps keep the board in place while in transit. Now available at all three Geiger's Northeast Ohio locations and online!